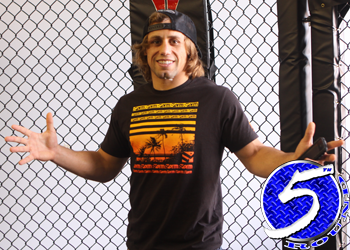 Former WEC featherweight champion Urijah Faber recently sat down with 5thRound.com for an exclusive video interview. The 145-pound stud discusses his WEC 48 title fight against reigning king Jose Aldo, a potential passing of the torch, as well as the possibility of the UFC swallowing up the WEC, its sister company. “I’m excited, fights are always about the matchups and I couldn’t ask for a more exciting matchup than with Jose Aldo,” Faber told 5thRound.com of the biggest fight in his career. “As far as styles go, as far as mentalities go, I think it’s just going to be high-paced and just action-packed. Faber owns a ridiculous 23-3 professional record, however the charismatic superstar has dropped two of his last four contests. Both losses came in championship bouts against Mike Brown. Aldo, who holds an impressive 16-1 pro mark, has been tagged by many as a younger and longer version of Faber. However, even if the dynamic Brazilian is able to successfully make his first title defense, Faber isn’t prepared to hand over the keys to the division he once dominated not too long ago. WEC 48 jumps off April 24th inside the Arco Arena in Sacramento, CA. The show marks the organization’s first pay-per-view broadcast. Although fans aren’t accustomed to paying a premium to watch WEC action, Faber believes his scrap will be one of the best of 2010. “I know I’m going to perform. I would fight the same if it was in my backyard as I would if I was in the cage,” Faber said. “It’s pride involved and it’s something that’s a battle within myself. I’m going to do everything in my power to make it interesting for people to tune-in.